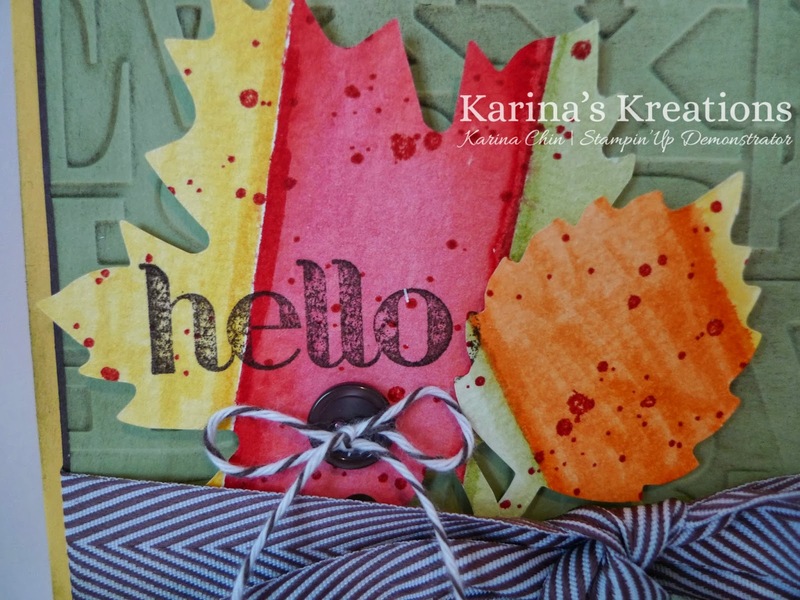 Karina's Kreations: Stampin'Up Water Colour Wash Technique! Stampin'Up Water Colour Wash Technique! 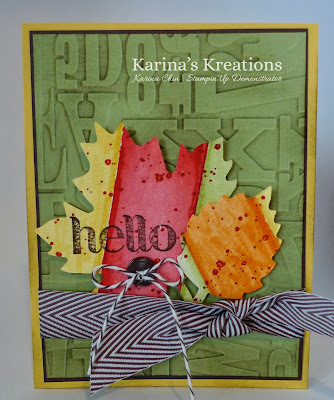 I wanted to tell you about a fun technique you can try using your Stampin' Write markers. 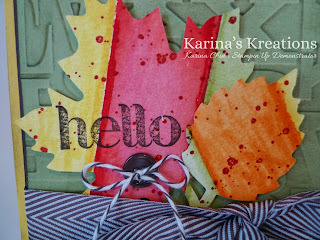 I cut a piece of water-colour paper down to 4" x 5-1/4" I coloured on the water-colour paper using Real Red, Daffodil Delight, Pumpkin Pie, & Pear Pizzazz Stampin' Write markers and blended it out using an Aqua Painter that was filled with water. I used masking tape to keep the colours from bleeding together. Once the water colour paper was dry, I cut out the leaves using the Autumn Accents Bigz Die #127005 and the Big Shot die cut machine. P.S. Email me at kchin2@telus.net to join my marker club.